The Sheep Mountain 50 mile course is one of the most beautiful races I have ever run. Starting in Fairplay, the run moves through majestic alpine... rough mountain terrain. The visuals are inspiring and positive energy surrounds. The runners, the volunteers, and the race director are all there to help you find the finish. I have run very minimal this year and been dedicating time to so many other fun things in life. Sherpa John, the race director of the Sheep Mountain 50 mile, invited me to run and I just couldn't say no. Against better judgement, I set off on this extremely difficult 50 mile course from Fairplay, Colorado. Above treeline toward Brown's Pass. An extremely difficult terrain at high elevation. The elevation was about 10,000ft for a majority of the day. The course was extremely rocky and seemed to go uphill in every direction. Knowing I was completely untrained for this, I started the run at a very comfortable pace and stayed focused on hydrating and eating well. I was definitely feeling pretty waisted by mile 20. I tapped into areas of my brain that remind me "not to think" too much and I continued from mile 20 toward the next aid station. I then found camaraderie with a few other runners...namely Sean Cook and Bernie Hohman. Both Sean and Bernie were running their first 50 mile race. Bernie was struggling and I suddenly found myself giving him some pointers, suggesting he push through the pain a bit and wait for his mental game to come back. In doing this, I was locking myself into doing the same thing. I had some thought about dropping due to a complete lack of training...but, after sharing all the positive energy I could with Bernie, I felt obligated to listen to my own advice and push on toward the finish. (left to right) Myself, Bernie, and Sean...approximately mile 40. I met Sean around mile 50. He shared he was an Army Ranger and driven to finish this ultramarathon no matter the effort. We stayed together from that point forward and Bernie then joined us. We stayed together as a team of 3 from mile 30 to the finish. This made the adventure extremely unique for me. 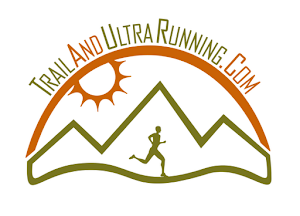 It was a completely new flavor of ultrarunning for me. I think Sean and Bernie enjoyed learning some pointers from my experience I, in turn, enjoyed their company as I suppressed the pain and physical reminders I had not done the work. Jalen giving me his support in the last 7 miles. Over time, we learned we were among the last potential finishers on the course. I had to laugh...here I was trotting to try and finish the race and make the cut-offs, while in recent years, I would have not been satisfied with anything less than 3rd place. Perhaps I have a new "why". It was just awesome to be out there...pushing hard...laughing, dreaming of the finish. I enjoyed every step with Bernie and Sean. I felt purpose in helping them find the finish. Without them, I wouldn't have continued. They gave me purpose...a reason to finish. In the final mile, I asked Sean and Bernie if I could be the last finisher. They asked why and I shared that many people thought of me only as a front-runner. I explained that my adventures in ultrarunning are much more meaningful to me than just racing and competing against others. It was special to me that we had worked together to find the finish. For these reasons, the finish line touched my heart again...and had new meaning. In the last 100yds before the finish, with Sean (left) and Bernie (right). Congratulations to Bernie, Sean, and all the other finishers of the Sheep Mountain 50. A huge thank you and congratulations to Sherpa John and all the volunteers of the Sheep Mountain 50. It was everything an ultramarathon should be...friendly, challenging, and inspiring. This was my son's first ultra marathon. With your race report, I was able to get a feel for the race - and his experience. Thanks so much for your race report - and I wish you all the best with your future races. We missed you this year Jerry!! !